Do you want the majesty of the golden retriever and the superb intelligence of the poodle? Then, welcome the Goldendoodle into your home. This fellow is big-sized but as gentle as can be. Being a Poodle cross, it’s also smart. We share with you everything you need to know to look after it well. If you haven’t already guessed, the Goldendoodle is a crossbred dog. Goldendoodle puppies are a result of breeding a Golden Retriever with a Poodle. The name has the suffix ‘doodle’, which is a variation of ‘Poodle’. 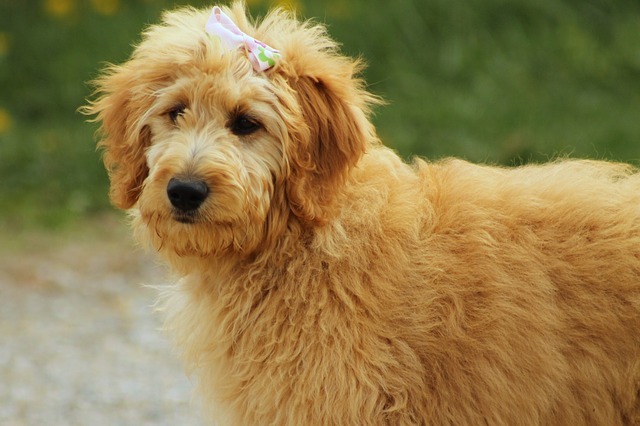 The Goldendoodle, being a hybrid, is a relatively recent breed. It doesn’t have a detailed history as such, but its parents do. We’ll reveal the background of the Golden Retriever, the Poodle, and their offspring. Breeders first created the Golden Retriever in Scotland in the middle of the 19th Century. The first Goldie, as people fondly termed it, came to be at Guisachan, near the estate of Sir Dudley Majoribanks. Majoribanks had conducted a detailed line-breeding program with Russian tracker dogs. Hence, people believe that the Goldie descends from the Russian tracker. As guns improved in quality in the 1880s, hunters killed more birds. The need for specialised retrievers grew. Breeders began to develop such a dog. They crossed a female Tweed Water Spaniel, Belle, with a yellow retriever, Nous. The cross itself had a litter of four pups. Majoribanks’ breeding program included the Irish Setter, the sandy Bloodhound, and the St John’s water dog. He wanted to develop a dog that was more powerful than other Retrievers but would still retrieve game gently. In short, he desired the ultimate hunter. Hence, the Goldie was active and skilful. Having a soft mouth, it brought back game without damaging it. The Goldie became recognised in kennel clubs the world over. The Kennel Club of England acknowledged it as a pure breed in 1903. The American Kennel Club listed it as a breed 14 years later. Majoribanks brought Lady, one of the earliest Goldies, to Canada in 1881. It gained recognition in 1927, and the Golden Retriever Club of Ontario came to be in 1958. The Poodle has a reputation for being a pampered lap-dog but comes from a long line of sporting dogs. The name Poodle is a variation of the German word Pudel, which means ’to splash about.’ It became a standard breed in France, where it worked as a water retriever. It gained popularity in the country and became its national breed. No one knows the poodle’s true origins. However, one popular theory holds that the Poodle’s early ancestor was an Asian herding dog that travelled west with tribes of Goths to eventually become a German hunting dog. Another opinion about the breed’s origin is that it found its way from Asia to Portugal in the 8th century with the Moors. Its exact origins are unknown, but there is a theory that one of its ancestors was an Asian hunting dog which travelled west with Goth tribes. It found its way to Portugal, where, the Moors harnessed its abilities. But we do know that it had a curly, rough, outer coat. Historians associated the Poodle with rough-coated water dogs. The first of these was the Barbet, which has the most considerable amount of influence on the Poodle. Hence, the Poodle’s original purpose was to retrieve game. It was also a circus performer and a military dog. The standard Poodle is the oldest of the three varieties. The toy variety developed shortly after, in the 18th century. The toy and the cute teacup varieties became favourite lap dogs. 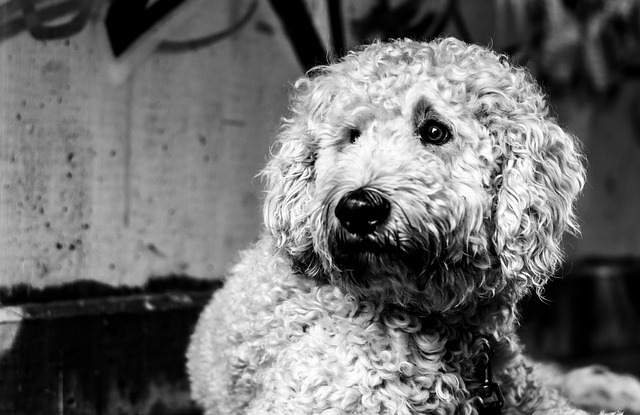 Mix both breeds to get the smart, reticent Goldendoodle. Enthusiast Monica Dickens first bred it in 1969. It only grew in popularity in the late 20th century, when an increasing number of people began taking to designer dogs. They crossed Poodles with other breeds to get a variety of dogs with non-shedding coats. People consider them hypoallergenic. You’ve already decided that you want a Goldendoodle. You’ll now have to choose the right one. Hybrids vary in looks and behaviour, so you’ll have plenty of choices. You may want a small Goldendoodle that can romp around in your apartment. A large Goldendoodle is for you as it will keep your home safe. Keep in mind that the Goldendoodle’s Poodle parent comes in three different sizes. You can somewhat predict how big a Goldendoodle puppy will grow if you know the size of its poodle parent. There will be a Goldendoodle of the right height for you. The Goldendoodle is affectionate and attention-seeking. You and your loved ones will have to decide if you have enough time to take it for walks, potty train it, and teach it basic obedience. Furthermore, this is a family-oriented dog that may develop separation anxiety. You’ll have to commit yourself to spending quite a lot of time with it; trips to dog runs, parks, and games will become a feature of your life. Take into consideration the time you have to look after its well-being. Think about who its primary caregiver should be. Ideally, that person should live close enough to work so that he or she can come home during lunch to check on it. You may love dogs, but have family members(particularly children) who are new to them. Remember that you’ll have to spend time introducing the new puppy to your family and its routines. Crossbreeds are typically more expensive than purebred dogs. Get your Goldendoodle from a responsible breeder. A pet store is an inappropriate place to get a Goldendoodle puppy. These stores purchase puppies at low prices and sell them at huge profits. Buy your Goldendoodle from a responsible breeder. Choose an experienced breeder who can tell you all you need to know about your Goldendoodle. The right breeder would have brought his Goldendoodle puppies for their vaccinations. He should also know everything about raising a Goldendoodle. Also, he should have bred the puppies in hygienic conditions. 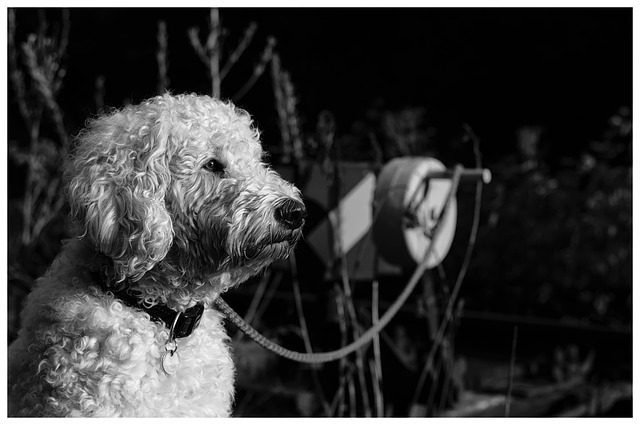 Goldendoodles are typically intelligent, playful and good-natured. When picking from a litter of puppies, notice how they behave. You’ll find out if a particular puppy is dominant or submissive to its littermates. Another way to assess a puppy’s personality is to cradle and lift it. The more responsive it is to handling, the better. You’ll be able to gauge how obedient it will be. 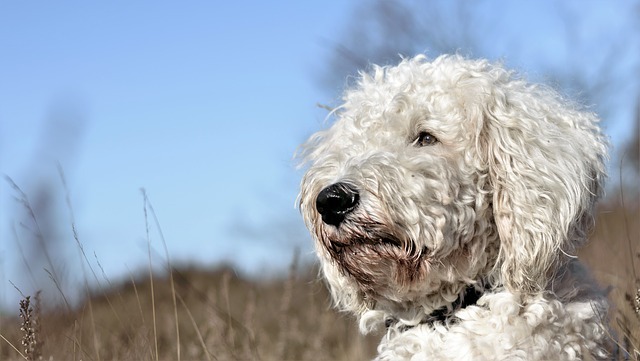 The Goldendoodle’s appearance may surprise you because breeding possibilities are many. First generation Goldendoodles vary in looks. Some Goldendoodles are stocky, while others are lanky. They may have wavy or straight hair, depending on which parent they take after. They will have wavy hair if their poodle genes are dominant. 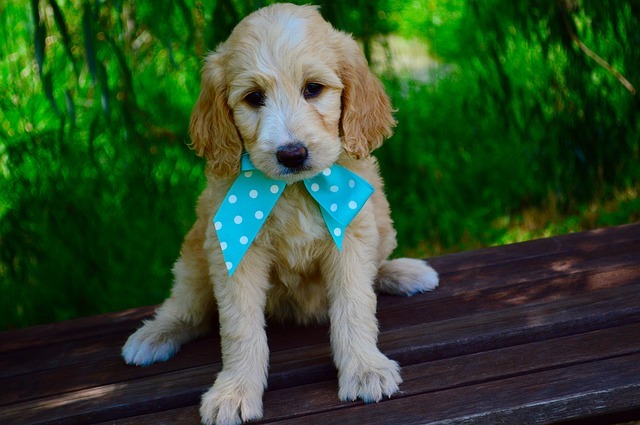 As breeders cross Goldendoodles with each other, they take on recognisable traits. 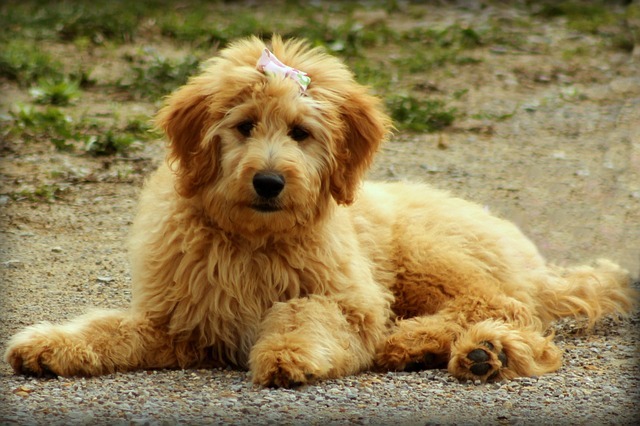 In general, Goldendoodles are medium-sized and have wavy coats. Because Goldies can breed with any of the three sizes of Poodles, they have a wide range of heights. A standard size Goldendoodle is over 21 inches tall and weighs over 50 lbs. Its miniature counterpart is between 17 and 21 inches tall. This medium-sized fellow weighs between 35 and 50 pounds. 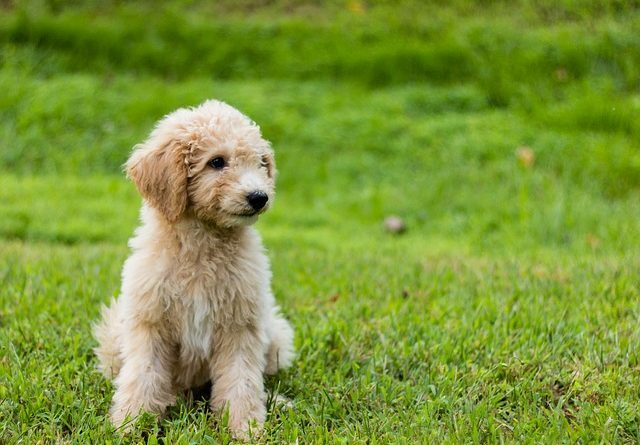 The petite Goldendoodle is only about 14 inches in height and weighs less than 25 lbs. 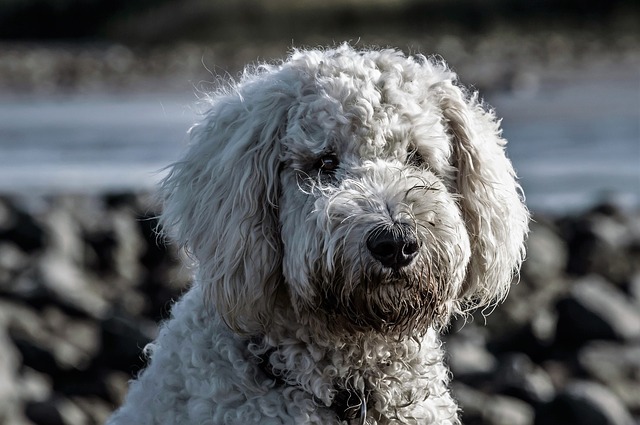 Goldendoodles usually come in cream, gold, chocolate, red, black, brown, sable and grey colours. Some of them have parti-coloured coats. Coat length and density may vary, depending on the parent they take after. Some have straight hairs like a Retriever’s, while others have thick, curly ones like a Poodle’s. Most have wavy ones because they have a balance of both genes. 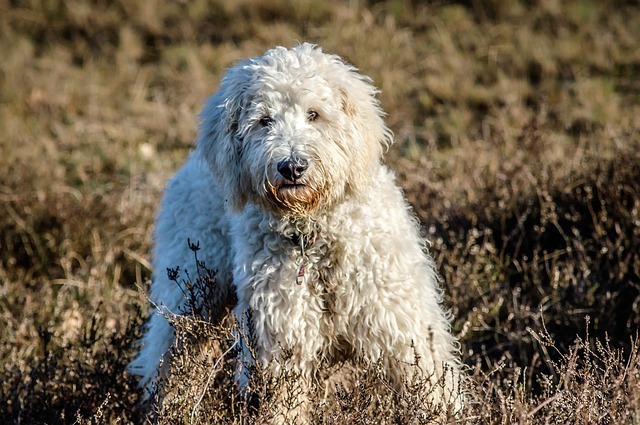 Most Goldendoodles have low to non-shedding coats. Of course, this varies from one dog to another. They have less dander than other dogs, so their grooming requirements are minimal- regular bathing, nail trimming, and fur trimming. Some Goldendoodles may have blue eyes like that Poodle parents, while others may have brown eyes. Their noses may be brown or black. Most Goldendoodles are pleasant and accepting of strangers. A Goldendoodle will take every person as a friend. Goldendoodles are extroverted and extremely playful. You can look forward to playing tug of war and other fun games with it. First of all, a Goldendoodle is a faithful companion. It will bark to alert its owner to strangers at the door. However, it doesn’t do so excessively. This fellow is reliable and makes an excellent therapy pet. Its cheerful, gentle nature makes it a joy to be around. Goldendoodles are relatively large dogs that need sufficient space. They do well in yards where they can run about freely. This dog is not for you if you’re looking for one that you can keep in your apartment. Goldendoodles are low maintenance; their coats are wavy but don’t need as much attention as their Poodle parents’. They are also even-tempered and controllable. As such, they suit novice owners. Like its poodle parent, the Goldendoodle is intelligent, both mentally and emotionally. A Goldendoodle is usually a leader when forming friendships with other dogs. Don’t be surprised to see your Goldendoodle letting other pets sniff him freely. While this is a thumbs up for its social skills, do be aware of it becoming too friendly. Control its excitement and make sure that it does not interact with unsterilized dogs. You can leave your Goldendoodle alone while you are at work. It can occupy itself for a while but don’t stay away for too long, lest it develops separation anxiety. It may get into mischief if it misses you. Keep it occupied with chew toys. If you keep it in a yard, restrict it to a section where it can spend its time digging. 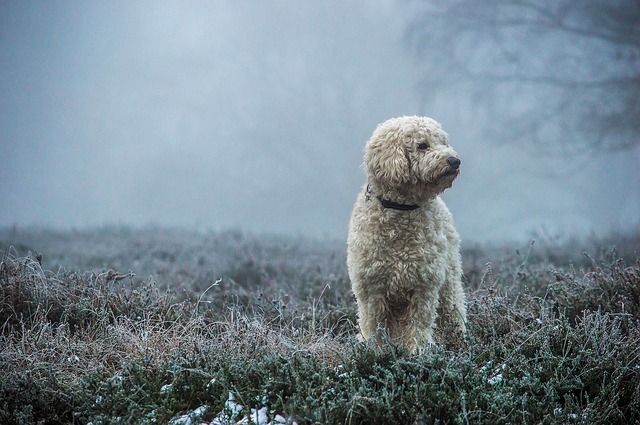 The Goldendoodle’s ability to cope with cold weather conditions depends on the thickness of its coat. Most can tolerate the cold well but need to put on sweaters if it’s extreme. This dog is extremely affectionate with its family. You’ll find it greeting you at the door when you get home from work. It’s the perfect dog for children and is tolerant when teased. The Goldendoodle will respond well to friends and relatives who enter your home. It will romp around excitedly and expect a few pats. Your Goldendoodle will interact well with cats and small dogs if you introduce it positively. All dogs have flaws, no matter how perfect their owners think they are. Your Goldendoodle will show these odd behaviours occasionally. First of all is barking, which is a perennial problem faced by dog owners. It probably gets on your nerves and those of your neighbours as well. It’s a task to deal with a dog that refuses to stop barking. Goldendoodles, thankfully, don’t bark too much. That said, you must address the behaviour lest it scares neighbours and friends. Find out why your dog barks. Perhaps it’s hungry. It could be trying to tell you that someone’s at the door. Knowing why it will allow you to stop the behaviour at its root. You could also hold your dog’s muzzle gently and say ’No speak.’reward it when it stops. Dog lovers may not mind their furry friends jumping up on them. After all, it’s nice to receive a warm greeting after a long day at work. Many owners realise that this is a friendly gesture. Those who are less exposed to dogs, however, may not appreciate this behaviour. Consistency is the key to ending it. Don’t greet your Goldendoodle when you step into your home. A squeal of delight on seeing you pup will increase its excitement. Stay calm and assertive. Your dog will stop jumping when it’s excitement eases. 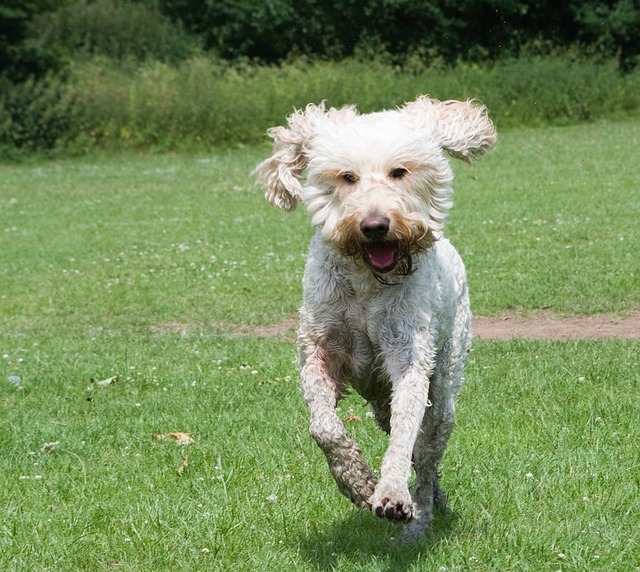 Does your Goldendoodle love run after cars? You’ll need to stop this habit as soon as you can. Make sure that your dog understands how to sit and stay. Give it opportunities to chase objects in proper microchipping your pet is also essential. Every dog loves to chew. Dogs do this to alleviate boredom or fear. Chewing is usually a symptom of separation anxiety: no dog wants to be left alone. When you notice your dog with your sunglasses in your mouth, replace them with a chew toy. The reason behind begging is simple- food is just too delicious to resist. Ignore the begging behaviour, as acknowledging it, even by saying ’no’, tells your pet that it’s acceptable. Feed your dog when it’s dinnertime for yourself. It will be too busy enjoying its meal to bother about yours. You may save the extras from your lunch and put them in its bowl later. Finding the flowers you took months to grow strewn all over the garden is disheartening. Golden doodles love digging, a behaviour that you must stop. Restrict your dog to an area in your yard where it can dig. 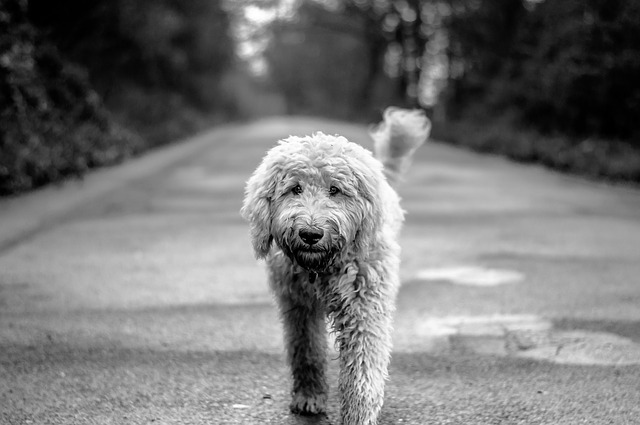 You won’t typically find the reticent Goldendoodle being snappy with people or pets, but every dog has a bad day. You’ll need to control it’s aggression when it surfaces. To control aggression with other dogs, stay calm and assertive. Avoid confrontations with other pets. Maintain a casual pace until you pass the source of the hostility. Remember that yelling will exacerbate the situation. Socialize your pet so that it gets used to other people and dogs. Stop to talk to neighbours on your walks, and enrol your dog in an obedience class. Your Goldendoodle will nip you to get your attention or tell you that it wants to play. Curb it by yelping when your pet bites you. Stop playing with it for about ten seconds. Do this until your pet learns to be gentle. Some dogs inherited their tendency to gulp food from their ancestors. In the days of the ’wild’ dog, lower-ranked pack members would eat quickly to ensure they had their fill before alpha members did. Invest in small feeding bowls designed to slow down eating. You may scatter kibble on the floor if you have a little gobbler. 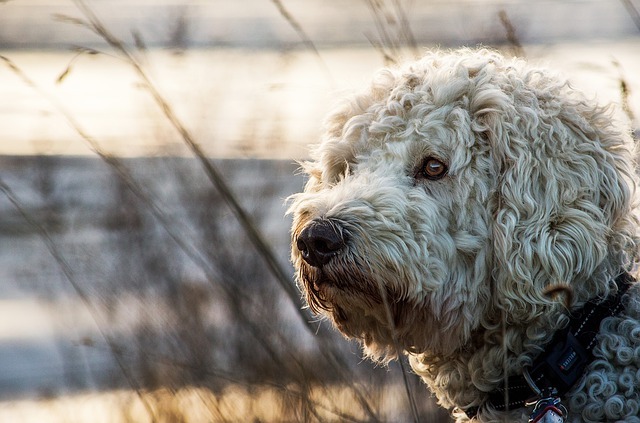 Both parents of the Goldendoodle are intelligent, responsive dogs. House training it isn’t complicated, but you’ll need a bag of tricks to ease the process. First, know how often your puppy needs to ease itself. Puppies usually go every three to four hours. It’s safe to assume that it will go after its meals. Take it out when it gets up, after its meals, and before bed. To add, try as far as possible to feed and bring it out at the same times each day. Not everyone receives this idea with enthusiasm. Crate training may seem cool because it resembles imprisonment. But it’s useful and beneficial for your Goldendoodle puppy when implemented humanely. Make sure that the crate has enough space for your Goldendoodle to stand up, lie down, and turn around. Dogs are typically clean creatures and will not want to relieve themselves where they sleep. Your Goldendoodle may use part of the crate to do its business if it’s too big. No person or dog likes being in an enclosed space for too long. Get your Goldendoodle used to the crate gradually. Make it a comfortable, go to place for your pet. Put a plush cushion and a few treats in it. Leave the door open. Your dog will go into it of its own accord when it sees that it’s a non-threatening area. You’ll want your puppy to relieve itself outside as far as possible. However, your dog won’t be able to do so often if you live in an apartment. Thus, paper training is necessary. Begin by laying the area where you want your puppy to go with newspapers. Keep your puppy there for the duration of the training. Remove a few pieces of paper as your puppy gets used to eliminating in the area. Your puppy will use small space eventually. A leash is a useful potty training tool. Use it to guide your pet to the spot you want it to go. It will come to understand that the area is its ‘ bathroom’. As the puppy becomes accustomed to the routine, pick it up and carry it over there. It will start to use the same area each time. This method works if you have a dog door. Hang a bell over it. A puppy can learn to bump a bell when it needs to go outside. Once it gets used to walking to its indoor toileting area, teach it to walk to the door. Get it to bump the bell, and ask “Do you need to go out’ at the same time. It will learn to use the belt but quickly and let you know that it’s potty time. How easy it is to groom a Goldendoodle depends on its coat type. It will be harder to groom if it has inherited its Poodle parent’s curly coat. Follow these steps to make the process easier. You should brush your Goldendoodle three times a week to keep it clean and presentable. Cut the small mats away. 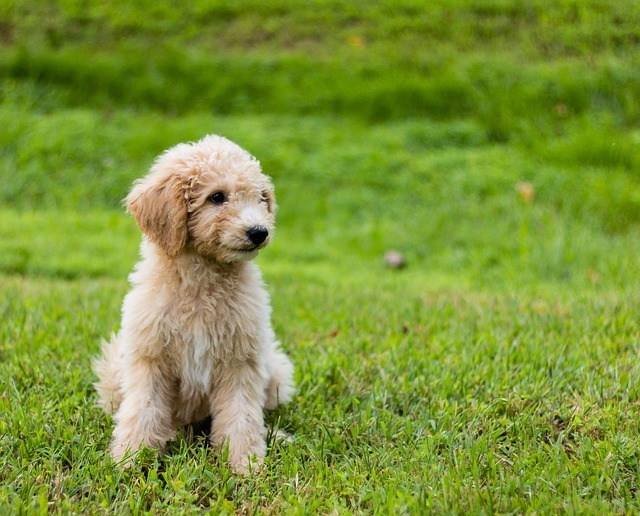 Start getting your Goldendoodle used to the process from puppyhood. The more familiar it is with the process, the more comfortable it will be. Use a slicker brush..Begin at the bottom, and brush away a line of hair. Pull a small amount of hair away. Make sure that you can see the dog’s skin as you do this. Remove all mats. Cover the whole dog, including its armpits and tail. After de-matting, use a metal pin brush to comb your dog’s coat thoroughly until the brush moves quickly through his luscious locks. If the brush gets stuck in any particular section, go back and work out the tangle gradually starting at the end of the strands and moving closer toward the skin. Check that you’ve removed all the mats. After this, use a metal pin brush to comb through its hairs. Comb until the brush moves through the coat without difficulty. The Goldendoodle’s fur tends to become tangled, so complete shaving of some areas is essential. Do this even if you want to grow out its hair. Shave the belly until it’s smooth. Remember to shave roughly an inch below the ear canal to allow air flow. Goldendoodles have thick hair around the ears which you’ll want to pluck out; bacteria will grow around t in the canal if you don’t. Pull the hair out using your thumb and pointer finger. Avoid pulling large sections out, as this is painful. Put in a few cotton balls after doing this, as they will keep the air dry during bathing. Remember to remove them once done. Wait for at least a week before bathing your pet. The process is stressful, so do introduce it to your new family member slowly. Ensure that there are no cold drafts, as you don’t want your pet to get a chill. Prepare for bath time. Gather your materials- dog shampoo, conditioner, a cup for rinsing and towels. Have a blow dryer on hand as well. You should have brushed out all tangles and mats. Put yourself in an excited mood; your dog will look forward to the session as well. Both the Goldie and the Poodle love water, so your Goldendoodle will too, Rinse the dog shampoo to prevent skin problems. Don’t ruffle your pet’s hair after bathing, as this would cause more tangles. Use firm, single-direction motions from the coat. Wring out excess moisture and finger comb your conditioner. Move towards its feet, then rinse. When blow drying or brushing, do so in the direction of the hair growth. Nail trimming can be traumatic for puppies. If your pup feels this way about the process, rub its paws gently. Doing so will get him accustomed to being handled. Cut one nail off at a time, so that it gets used to the process. Don’t cut into the pinkish area or the quick. Doing so will cause profuse bleeding. A proper diet keeps a Goldendoodle healthy and active. Here are some tips on feeding your furry family member. First of all, Goldendoodles gain nutritional value from vegetables, so its wise to include them in your dog’s diet. Feed your Goldendoodle lots of fresh, organic vegetables and fruit. The number of dogs treats in pet stores will overwhelm you. Not all of them provide nutrition, so pick those that do. Vets may not recommend the treats in pet stores. Freeze dried chicken nuggets and puppy pepperoni do to dogs what greasy hamburgers do to you. Know where your dog food comes from to ensure its safety. Use treats to reinforce desired behaviours, such as sitting and staying at the right time. Dogs usually love treats, so offer your Goldendoodle healthy options like oat cereal, raw fruits and vegetables or crunchy peanut butter. If your dog loves soft treats, try blueberries, sweet potato cubes, and bananas. Rawhide treats can be safe or unsafe for your pet. Cut them into small bits to ease biting and swallowing. When feeding meat to your Goldendoodle, it’s good to consider your budget. It’s also wise to think about its suitability and farming processes. So which ones make the grade? Kangaroo meat beats others in nutritional value. It’s a low-fat, high protein option. Because kangaroos graze on wild grass, they are healthy. Besides, the Australian government watches kangaroo culling closely. Beef is a popular choice among dog food manufacturers. While it’s typically nutritious, the parts of the cow they use are usually non-saleable. Fresh beef has a high amount of protein and fat. If it’s organic, it’s usually high in grain content. Chicken is perhaps the most commonly used meat in pet foods. Commercially fed chickens have Vitamin D deficiency because farmers keep them in cages. They don’t eat green grass either. Organic, free-range chickens offer Vitamin D, protein, and natural antioxidants. Turkey is a low-fat option. It’s also rich in iron, potassium, zinc, phosphorus, and Vitamin B. Because turkey farming isn’t intensive, most of them live outdoors. Hence, they offer all these nutrients. It may surprise you to learn that goat meat is the most eaten meat in the world. It’s nutritious for dogs because it’s lower in fat and higher in iron than other options. It tastes like lamb meat. Venison, too, is low in fat. It’s also high in protein. It’s a unique protein source, so it’s ideal for pets with liver problems. Venison is readily available from butchers. Lamb, nurtured in proper conditions, is usually high quality. It’s perfect for dogs because it’s high in fat. Because lambs graze, they offer lots of vitamins as well. Goldendoodles are increasing in popularity. Many of them won’t be the immediate descendants of Goldies and Poodles. If you adopt a Goldendoodle, you’re likely to welcome a multi-generational puppy into your home. Note that 3rd generation Goldendoodles are prone to shedding. Some puppies will have the sporty, flat coat of the Retriever. Others may be wavy or curly like a Poodle’s. A responsible breeder will care about the well-being of his parent dogs and puppies. He will breed the parents and raise the puppies in hygienic, spacious conditions. He will also look into the futures of his puppies, and test their parents for genetic diseases. Retrievers and Poodles are prone to hip dysplasia, so the breeder will have his dogs checked for this condition if he’s knowledgeable. He will put them through tests for other diseases as well. He will also provide a health warranty for his puppies. A good breeder is up front. He will answer all your questions honestly and with knowledge. He will have a reputation for honouring his contracts, and respond quickly to feedback. You shouldn’t have to make a thousand-dollar deposit for your Goldendoodle puppy. An irresponsible breeder will ask for a considerable amount. He will make money because it’s not refundable should anything be amiss with the puppies. A reliable breeder will let you meet the puppies’ parents. The puppies could have been produced in a puppy no situation if there is no parent present. Talk to other owners who have bought puppies from the breeder. If they picked the puppies up at locations other than his premises, he might have secrets. Always look for readers who have satisfied customers. Dog training requires patience. Rely on rewards and reinforcements when teaching commands to your Goldendoodle. Repeat lessons so that it becomes familiar with your instructions. The ‘Sit” command is the first that every dog should learn. It’s useful in situations where you need your dog to be calm and patient. Have an enticing lure in your hand. Hold it in front of your Goldendoodle’s nose. Once it pays attention to you, raise the treat and hold it over its head. Your dog’s eyes will follow the treat. As they do so, its bottom will move to the ground. When this happens, reward it. This process will become recognisable to your pet. After some time, use the command ‘sit’. Teach your dog to stay after it’s mastered the sit command. Have a treat with you. Get your puppy to sit, and put your palm up. Say stay and walk backwards. Then, say ‘come’ in a welcoming tone. Reward the dog when it comes to you. This command is useful when your Goldendoodle runs out of your home or breaks free from its leash. To teach it, move a few steps away from your puppy. A dog’s instinct is to stay close to its owner,; it will follow you. When it does, say ‘Come’ and give it a treat. In conclusion, the Goldendoodle is a friendly, responsive crossbreed who will make an excellent companion. 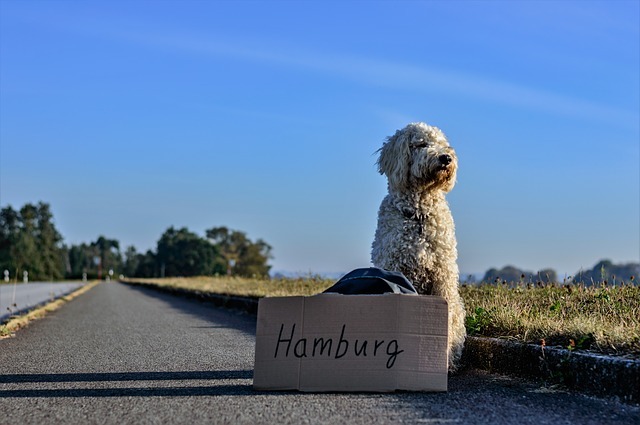 You will find raising it a breeze if you select a responsible breeder, choose the right puppy, feed it appropriately, give it obedience training, and groom it well. Thank for the info. I am a first time mini goldendoodle and am concerned about it leaving the home it was raised in where there were 3 other dogs of various breeds. Would appreciate some advice as I am by myself.